The combined traffic between Tarrant County and Houston, San Antonio, Austin could make the extension to Fort Worth viable. electricron wrote: All Texas Central would need from Trump is low interest loan guarantees, recognition from the federal government with the least financial commitment, recognition Texas Central could then use in court to establish they are a real railroad so they can start eminent domain proceedings. wouldn't those counties be Trump supporters. I would think this would be political suicide. Trump is/was a real estate developer before he was elected President, and no developer that I am aware of like NIMBYs. It would not be political suicide. tamtagon wrote: I'd like to see the DFW-Austin-San Antonio leg get a jump start. Does the existing Texas Eagle daily service count as a jump start? Once the Dallas to Houston route has started, an extension off it to Austin and San Antonio would be cheaper to implement. There aren't many empty HSR corridors available to travel through Austin or reach far into San Antonio. But I wouldn't expect funding for it to become available until the first route proves it can be profitable. None of those developers were after voter base for re-election and keeping congress red. The very people and counties this would be targeting would be his core demographic. A foreign backed project using eminent domain to cut through my pastoral land in the heart of America that only profits big city developers and foreign business interests. At this point in time, I would say it does not count -- it takes too long and delays are too frequent. Effectively sharing the rails with cargo, well, that ship has sailed. If I'm not mistaken... That Amtrak trip from Dallas to San Antonio is over 9 HOURS LONG! I've considered taking Amtrak to San Antonio a couple times in the past. Then I realize that in the same time frame I could already be on the train from Hethrow into London; picking up my baggage from Paris baggage claim; taking a shuttle to my hotel in Honolulu; or on final decent into Buenos Aries. San Antonio has never seemed so disappointing. Dallas-San Antonio is like $15/5hrs on Megabus/Greyhound. Totally applicable to Texas as well. ... Liège Guillemins can often be found filled with travelers and locals alike, enjoying the urban terrace overlooking the large main plaza or casually gathering on the station’s front steps. Keith said Tuesday that the company was confident it would have secured a ruling in its favor. Texas Central and landowners had already settled 21 other similar legal filings. The company said the decision to withdraw the remaining suits was largely based on the fact that it's already reached access and land-purchase options with more than 3,000 landowners. A land-purchase option essentially means that the company and a property owner have reached an agreement on how much the firm will pay for any land that may be needed for the route. The company pays an up-front fee that the owner can keep regardless of whether the firm eventually needs their land once the route is finalized. Just goes to prove the ole saying that money talks. I wouldn't be surprised to read by this time next year they have gotten access to build the HSR tracks for the entire route. The private company behind a planned bullet train that would connect Dallas and Houston in 90 minutes is dropping more than a dozen lawsuits against landowners who refused to allow the company onto their property to survey, Texas Central Partners announced Tuesday. Executives said that the move, which was first reported by the Texas Tribune, will allow Texas Central to negotiate with landowners more amicably. Yeah, 35 is bad. So bad my parents have started taking Amtrak just to visit for the weekend. Just imagine a high speed train that is a straight shot and did not have to take the weird route through Taylor. Interesting to consider how 2 hour, door to door, Riverwalk to Reunion train ride would reshape the I-35 corridor to the rest of the world - more so, I think, than the Dallas-Houston train, and only because I-35 corridor feels more natural as on contiguous experience with different places. Fort Worth, Dallas, Austin, San Antonio have something of a kinship that the cities dont share with Houston, and I that's fantastic for all concerned! Houston needs to be set apart as a more different variation of big Texas city.... anyway, so totally glad the odd resistance to this train seems to be waning. A new report estimates the Texas bullet train could cost taxpayers $21.5 billion and concludes that privately funded high speed rail is not a feasible mode of transit outside of the Northeastern United States. The report from the Reason Foundation estimates that the proposed Texas Central Partners project between Dallas and Houston will run at a $537 million annual operating deficit over the its first 40 years of operations. ...Texas Central initially projected annual ridership of 4 million passengers by 2035. More recently, Texas Central upped this projection to 5 million annual passengers by 2025. However, the analysis by Reason indicates a more likely 2035 annual ridership number is 1.4 million passengers. “Unless TCR can bolster its ridership claim, private investors will be hard to find,” the report concludes. Reason Foundation's nonpartisan public policy research promotes choice, competition, and a dynamic market economy as the foundation for human dignity and progress. Reason produces rigorous, peer reviewed research and directly engages the policy process, seeking strategies that emphasize cooperation, flexibility, local knowledge, transparency, accountability and results. Through practical and innovative approaches to complex problems, Reason seeks to change the way people think about issues, and promote policies that allow and encourage individuals and voluntary institutions to flourish. rantanamo wrote: is this a privately run line or not? Why will it cost us $21.5 billion? They think that it will fail and then be bailed out. But his actual analysis doesn't lead to the conclusion of $21.5 billion cost to taxpayers. The $21.5 billion comes from his estimated differential between total project costs and revenues over 40 years. But unless the premise is that TCR will fail to get funding for construction and then the state will decide to build it on its own (lol not going to happen), construction cost is not particularly important in a hypothetical bailout/takeover. What is important is the O&M deficit, which this study estimates at $70 million annually. While $70 million isn't nothing.. wait, actually it is nothing in the context of transportation spending. Especially when you consider that your capital costs have been paid for by some apparently really dumb bankers who financed this apparently clearly absurd project. Reason should stick to supporting private markets and stay out of this unless/until the time comes for the state (or feds?) to take it over, and then yell like hell if it appears the government is paying much more than the value of the metal and trainsets to acquire it. One of the hot trends in Japan right now is for regional excursion trains to feature local dishes that are prepared and grown in the cities they visit. Most times the (many) private train operators own the farms and restaurants that prepare the food. Sometimes the food is prepared to be served on the train, other times it is sold at the stations in packages called "ekiben"
This strategy was thought up to save disappearing towns and train lines. It has worked surprisingly well at boosting the small-town economies and cultures. Most of these train lines have expanded with luxury tours and are profitable. It would be a great P.R. move for TCR to feature local food tied to the cities that it passes thru. Even if it doesn't stop, things like locally branded Kolaches, BBQ, Beef Jerky etc. could be sold on the train and at shops in the station. Sure the train wont stop but it can draw attention to the different places in the region. do you know some things on the inside about why this will fail or speculating? rantanamo wrote: do you know some things on the inside about why this will fail or speculating? I'm not personally speculating that it will fail; I'm pretty agnostic. The author of the study, though, thinks that the ridership forecasts are way overestimated and the construction costs way underestimated. It's true that banks took an absolute bath on systematically overestimated travel forecasts on projects at the start of the 3P boom ten years ago. But hundreds of millions of dollars in lawsuit settlements later, I'd imagine they've gotten a lot better at demanding conservative forecasting for underwriting. So either the project won't get off the ground because no one will back it, or TCRs estimates aren't that bad, or there's just some really dumb bankers who haven't learned a thing over the past decade. The Reason Foundation apparently doesn't believe the free market place is going to work here in Texas. Whether Texas Central HSR earns a profit, amasses sufficient funds to build and operate the HSR Line, is up to the free market to determine. Back in 1872 when the original Houston and Texas Central Railroad started train services on their brand new line from Houston to Dallas, the free market supported it. Towns and cities like Ennis, Bryan, College Station, and Hempstead grew alongside it. Shucks, even Dallas and Houston grew up alongside it. Today, UP trains continue to run over it. I wonder what the Reason Foundation thought about privately ran railroads back in 1871? I would like to point out that most railroads in the USA have entered bankruptcy more than once, yet few railroads were ever taken over and operated by the States. They were either purchased or merged into other privately owned railroads, or allowed to die. There's lots of miles of abandoned railroad corridors within Texas, and thousands of miles nationally. The world did not come to an end when the railroads entered bankruptcy. rantanamo wrote: I guess more of my question is, why do they think the government would bail it out if it failed? The author doesn't really say. And definitely doesn't say why he thinks that a) financing will fall apart mid-construction, and then b) that the government (state? feds? again, doesn't say) would then take over and pay the big money capital costs to complete construction. I agree that if the line ends up unprofitable, it'll get some sort of subsidies to continue rather than let it rot. But at that point, I don't really see that as some terrible outcome. You'd rather have no state support, of course, but $70 million annually is not much: only $2.8 billion over 40 years. Compare that to the $3.2 billion in capital costs alone for just 17 miles of a couple of toll lanes on LBJ. what huge bailout would be similar to this project? GM? Airlines? AMTRAK? Banks? This wouldn't fit as supplying nearly many jobs as the rest of those. Perfect project to just let fail. Japan Central Rail's 16 car Nozomi (limited express) Shinkansen train passing the Hikari (express) train in less than 5 seconds while stopped at a station. Last edited by Haretip on 22 Feb 2017 16:31, edited 1 time in total. The alternative facts cognitive dysfunction seems to have struck members of the legislature. The two most specious examples in my opinion are the "it's not a railroad" meme and the "it's incompatible with the other railroads". If you had to have track and cars before building a railroad, we wouldn't have any railroads. As for the incompatibility argument, the cars I saw were 4'8-1/2" gage. The only thing I can think that they are referring to is perhaps the power supply or the coupling? I'm not really sure how relevant that is. If there was an American company capable of producing a bullet train, it shouldn't be that big of a deal to produce a train that can run on a 25 kV AC system. What else is so proprietary about the Shinkansen technology? As I recall, Electricron was an electrician, what say you on this issue? Haretip wrote: As for the incompatibility argument, the cars I saw were 4'8-1/2" gage. The only thing I can think that they are referring to is perhaps the power supply or the coupling? I'm not really sure how relevant that is. If there was an American company capable of producing a bullet train, it shouldn't be that big of a deal to produce a train that can run on a 25 kV AC system. What else is so proprietary about the Shinkansen technology? As I recall, Electricron was an electrician, what say you on this issue? What they're referring to mostly about " proprietary" Shinkansen technology is it's signaling and controls. Traditional train signaling and controls that the freight railroads use in the USA for trains running 50-80 mph will not for trains running 4 times faster. Like the line side signaling, those red, green, and yellow lights along the corridor. At night we can see the light for miles, as long as the line of sight is clear of obstructions. But during the day, we can not see those lights as far. Can you determine which light is on or even if one of the lights is on from a mile away? A half mile away? A quarter mile away? When driving a car at 60 mph, a mile away is a minute, a half mile away is 30 seconds, a quarter mile away is 15 seconds. At 180 mpg when driving s a HSR train, a mile away is 20 seconds, a half mile away is 10 seconds, a quarter mile away is 5 seconds. How fast can you stop without even a hint of throwing you from your seat into the floorboard? Most experts suggest the answer should be 1/10th of a g, which is 2.2 mphps. So at 60 mph, it'll take 27 seconds, at 120 mph it takes 54 seconds, and 180 mph it takes 81 seconds. The whole point of the earlier examples was to point out that wayside train signaling doesn't work for HSR trains, where stopping distances are far longer than the engineer's/driver's seeing distances. A different type of signaling needs to be used. HSTs, including Amtrak's Acela use cab signaling, where the signals are in the train's cab and not alongside the tracks. Ever wonder why most USA passenger trains maximum speeds are limited to 79 mph? Well, at 80 mph the FRA regulations state they must use cab signaling. While there are different vendors making train control signaling, just like there are different vendors making the trains. One doesn't have to use the Japanes signaling system if you will be using a Japanese built train. You can mix and match. Texas Central is proposing using the Japanese signaling system with the Japanese trains, it certifly works well and why reinvent the system? They're just avoiding the risk of mixing and matching systems, by reducing risks they should be ultimately reducing costs. Look at Lockheed F-35 jet fighter aircraft program. Every time they add a weapon system to the plane's arsenal, they complicate the electronis control systems adding risks and costs to the plane. Every country buying them wants to use different weapons, making them all work without affecting other weapons is difficult and complicated. But Lockheed needs to do it to gain more sales and to maximize profits. Texas Central doesn't need to do so. Last edited by electricron on 22 Feb 2017 16:35, edited 1 time in total. Well, that seems to confirm that their proposed legislation on proprietary systems is ridiculous. I spent way too much time today reading up on the overhead contact system and power systems for the bullet train. Haretip wrote: Well, that seems to confirm that their proposed legislation on proprietary systems is ridiculous. I'm not surprised that Texas Central wishes to use proprietary systems, they certainly don't wish to see 50 mph slow poke freight trains on the same tracks as their 205 mph trains? Ever drove behind a tractor on a FM road going 15 mph when the speed limit is 60 mph or more? That feeling is almost as bad when following grandma or grandpa going 30 mph, which would be the equivalent slow speed of Amtrak Superliners on these tracks. The whole point of being "proprietary" is to be "exclusively", making it difficult for others to compete against you on your own tracks. SB 973 by Creighton/HB 2168 by Bell (Railroad Determination Before Surveys) – prohibits a highspeed rail entity from entering private property to conduct a survey unless the Texas Department of Transportation (TxDOT) first determines that the surveying entity is, in fact, a railroad. SB 975 by Birdwell/HB 2169 by Schubert (Security Requirements) – provides a framework of minimum security requirements to be followed during the construction and operation of a private highspeed rail line. Requires the high-speed rail authority to coordinate security efforts with state and local law enforcement, as well as disaster response agencies. SB 977 by Schwertner/HB 2172 by Ashby (No Taxpayer Bailout) – prohibits the legislature from appropriating new funds, or allowing state agencies to utilize existing funds, to pay any costs related to a the construction, maintenance, or operation of a private high-speed rail in Texas. SB 978 by Schwertner/HB 2104 by Bell (Property Restoration Bond) – requires a private high-speed rail entity to file a bond with the Texas Department of Transportation (TxDOT) sufficient to restore property used for the rail service to the property’s original conditions if the service ceases operation. SB 979 by Schwertner/HB 2179 by Cook (Right of Repurchase for Non-HSR Use) – prohibits an entity that operates or plans to operate a high-speed rail from using property acquired for purposes other than high-speed rail. If the high-speed rail authority doesn’t use the property for that specific purpose, the original landowner must be given opportunity to repurchase the land. SB 981 by Kolkhorst/HB 2162 by Wray (Interoperability) – requires an entity constructing a highspeed rail line in Texas to demonstrate compatibility with more than one type of train technology. Too many of us think the HSR line will have to pay off the capital costs of building the railroad corridor and trains, just like we end up paying off our purchases like cars and homes. Well, that's not how corporations think. They think in staying afloat, staying in business. There are several ways to carry those costs forever if need be. They can issue new bonds to buy back old bonds. They can go public and sell stocks for additional capital to pay back the loans. They can sell the railroad to another corporation using the proceeds to pay back the loans. They can merge with another corporation. They can do it over and over again. There's probably other things they can do I haven't mentioned. All that's needed is keeping more capital in the bank than what they need to spend to cover all the bills for services to continue operating. Keeping the capital costs as low as possible makes it easier to raise the capital to build it, and easier to kick the repayment bills down the road later. And if they fail, there's bankruptcy protection processes to kick that repayment bill down the road as well. Maybe this has been discussed before, but I missed it. What is the logical reason for having the Houston end of the line terminate at the 610 Loop instead of downtown? I'm assuming there must be one. The article in the News this morning noted the fact, but provided no rationale for it. Personally, I would be MUCH more likely to use this if it went downtown to downtown. But, that's just me. ^I think running the line to DTHouston was determined to be way too expensive, lots of stuff is in the way.... I think entities in Houston are trying to raise a ~billion dollars to help buy the land. I think there's an old postal facility (or something like that) next to the UoH identified for a HSR station. I was thinking about the HSRail project this weekend. Dallas would have the exact same problem if for whatever reason, they decide in the future to extend HSRail further north to OK or KS. Where would you put it on the north side of DT? Under I-35 sounds like a good idea, but how realistic is a tunnel train from Dallas to Denton under the lakes? Very dense that direction already (same issue Houston has due to the way cities around here with no natural barriers tend to grow north). The HSRail piece for Dallas was a lot easier to bring to DT because our city is not dense on the southern side. In my understanding of HSR service parameters of distance and potential trips*, SanAustintonio is the only other population center large enough to be considered for service to DFW and/or Houston. So, as much as I would like HSR heading North and NorthEast from DFW, doesn't appear socio-economically feasible for quite a while. And the only way Houston HSR stops in Fort Worth is if Tarrant County boosters raise the billion dollars it'll cost. However, when the I-35 corridor population centers link to Dallas by HSR, the combined trips SA-Aus-Hou to Fort Worth could make the extension viable. 500 miles. Distances below 100 miles are better suited for auto and commuter rail networks whereas distances greater than 500 miles are more efficiently travelled by air. tamtagon wrote: ^I think running the line to DTHouston was determined to be way too expensive, lots of stuff is in the way.... I think entities in Houston are trying to raise a ~billion dollars to help buy the land. I think there's an old postal facility (or something like that) next to the UoH identified for a HSR station. The FRA's EIS stated it was much too expensive. Environmental concerns could be mitagrated if they had a place to go to in downtown Houston. In Dallas, developers owning vacant land near downtown were much more willing to provide that place, that didn't happen in Houston. Which is why the City of Houston is looking at stepping up to provide that place. FYI, the Post Office facilities along Buffallo Bayou in downtown Houston lies atop the ruins of the original Houston and Texas Central Station. Dejavu??? I believe Texas Central would rather have private commercial partners than public partners with their real estate dealings. Property in central business districts are much too expensive to hold without partners sharing the expense. For what it's worth, the JR Central Hokkaido Line has a central city station, Tokyo. 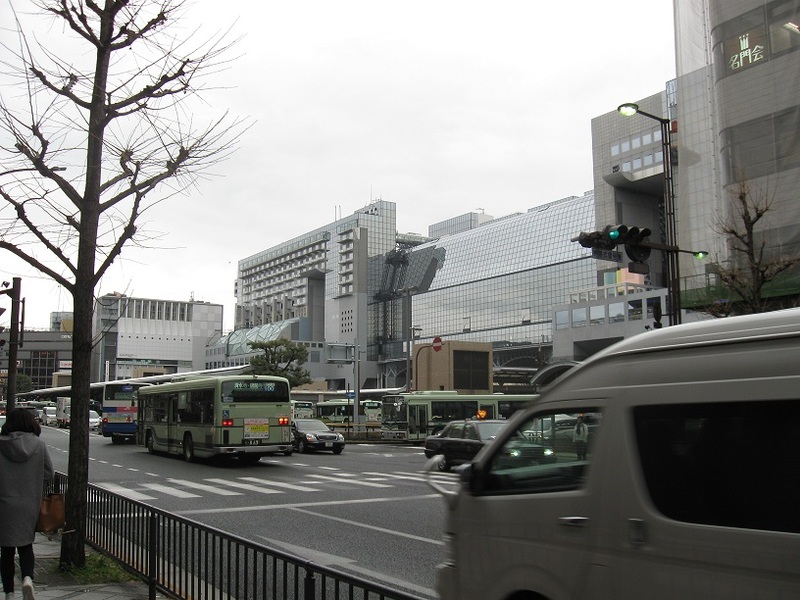 The next station, Shinagawa, is only 4.2 miles distant on the south side of Tokyo and the next suburban station, Shin-Yokohama is 11.6 miles further (and has great shopping and entertainment). All 3 classes of trains stop at these 3 stations. Beyond Yokohama, it depends on what class of train you take as to whether it stops at a particular station. I'd suggest that they go ahead and build the loop station at Houston as they work toward an eventual connection into downtown. Eventually having two stations would not necessarily be a problem. The equipment has no problem with acceleration and, if I recall correclty, the stops at the two outer stations were less than a minute. As mentioned, the JR Central's shinkansen tracks are standard gage, unlike most of the other railroads in Japan. When planning the new system, the existing narrow gage Tokaido Main Line was pretty much at capacity with trains as well as not having the required additional real estate to add more tracks. The new Shinkansen line generally is built above grade on viaducts as it enters the metropolitan area and is further inland most of the time (althought the two lines do frequently parallel each other and share stations in rural areas). I know it really jacks up the cost per mile, but it is considerably cheaper than tunneling. I can imagine resistance from adjoining property owners over noise, but if you route it along existing highways and/or freight railroad corridors, it isn't that much more of a noise load. Compensation can be provided for soundproofing and other strategies that are currently employed in highway reconstruction could be used to the same affect. tamtagon wrote: In my understanding of HSR service parameters of distance and potential trips*, SanAustintonio is the only other population center large enough to be considered for service to DFW and/or Houston. Tnexster wrote: ^Me too, I wonder how long it will be until that happens. I guess they would need to be up and running, prove it makes money and then start? Or are they so confident in their model that they could at least start planning. That I-35 corridor needs help. The I-35 and I-45 corridors will have different economic models. Having two terminus cities with over 7 million citizens will be entirely different than with just one terminus city that huge, and the other terminus city around 2 million at best. I'm not suggesting HSR wouldn't work, I'm suggesting the economic modeling will be different. Supposedly, the Texas Central group and its Japanese supporters have studied and ranked 50-100 American city pairs for HSR feasibility. I'm wondering where the Texas I-35 and I-10 city pairs falls on their list?